YOU HAVE DONE DESPICABLE THINGS TO ME. As they say, "hell hath no fury like a woman scorned". Oh yeah. The epitome of the phrase. Yes sun, you have mocked me and ridiculed me with your ultraviolet rays. For all of you who know me, I wouldn't walk an inch in the glaring sunlight without succumbing to the shade of my umbrella. 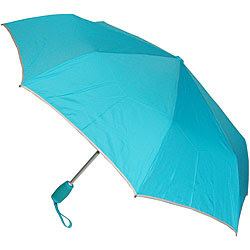 Sunblock is used when holding an umbrella isn't very possible. E.g. Riding a bike, running along the coast of a beach, jogging in a park, etc. I've always loathed the sun. Strong word I know, but what other words would you prefer? Despise? Detest? Feelings of repugnance? The weather these days have been cruel. Staying indoors and basking in an artificially-induced (albeit cool) environment has slowly morphed into one of my favourite pastimes. Heck it has always been a favourite pastime. As the weather worsens, so does my petulance. Now I'm off to contribute to global warming again. i am laughing at you right now cause i actually recalled how you used to walk with the back of your arms facing upwards to get an even skintone everytime you walked under the sun without an umbrella HAHAHA! OH MY GOSH HAHAHAHAHAHA and in doing that i influenced you to do it too!